Denver Data Recovery offers dedicated server repair and recovery through a large network of facilities. We invest heavily in state-of-the-art technology that allows for high recovery rates in a variety of data loss scenarios. Our teams specialize in server recovery. We offer professional services for both physical and virtual servers, and our engineering teams have worked extensively with every major operating system and file type. With our expansive knowledge base of past cases and state-of-the-art technology, we can effectively treat any failure scenario in a matter of days. Call our customer service team today to schedule a free server evaluation. Denver Data Recovery operates dozens of offices, and we can provide fast, safe services for your business regardless of your physical location. We also feature data recovery services for virtual machines including VMWare, Virtual Server, Hyper-V, XenServer, and many others. Denver Data Recovery Services was one of the first providers to offer a dedicated data recovery option for cloud servers. We use a number of proprietary technologies to offer consistent recovery rates for deleted, formatted, corrupt and otherwise logically damaged virtual media. Complex NAS SNAP Server Failures require professional grade data recovery engineers and resources. High availability cluster server systems running critical databases or file sharing are not prone to failures due to the architecture so in an event when there is data loss there are no premade tools to bring the data back, in an event that a Linux or Windows Veritas server fails majority of the tools and utilities must be created for each individual case. Majority of local or non specialized data recovery companies will simply not have the capabilities to address such a complex issue, in these cases Denver Data Recovery steps in the rescue your data. When business owners are asked to list the potential problems that may arise when owning and operating a business, server failure is at the bottom of the list, if on at all. However, when a server fails, it could potentially cripple a business. Not being able to access crucial financial data, invoices or client data could lead to some very damaging days. Unfortunately a local law firm learned of this the hard way when their server full of client data crashed. Thankfully another business owner recommended Eboxlab, and the server was in our laboratory the day of the crash. This was the backup, so it was crucial for the owner to receive ten years of financial data from the server. We first worked on securing that data for the owner, backed it up to another source, and then continued to fix the operating system and hardware errors on the server. We were successful in reducing downtime, provided more solutions to preventing this problem in the future, and reduced some stress for another local business owner. Utilize our almost 20 years of data recovery experience and expertise at Denver Data Recovery to quickly recover business-critical data on your server. For any direct-attached RAID, network attached storage (NAS), and very large storage area network (SAN) systems. 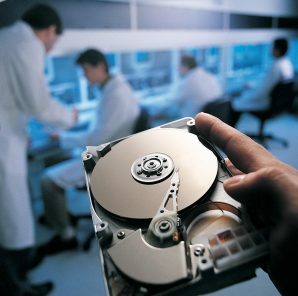 Denver Data Recovery engineers help you!